Baby Hazel goes to the mall with her mother to go shopping. While there, she wants some new toys. Her mother at first says no but ends up buying her a teddy bear and a doctor’s kit. They also buy food that they need for their house. Now it’s time to go home and play with the new toys. Back at home, Hazel is happily playing with her new stuffed animal but her cat, Katie, gets jealous and hurts her new teddy bear. The teddy bear is injured and needs help. She is sad and really wants to make the teddy bear feel better. Good thing she has her new doctor kit! But she needs your help to make the teddy feel better and to make herself happy again. With her new doctor kit, Hazel must heal her stuffed teddy bear so that he can feel better and they can play again. Her doctor kit has a lot of different kinds of tools and items to make her new teddy bear feel better. She sets out to heal her new teddy bear. Can you help her find the right items to help fix her teddy? What should she use? The player uses their computer mouse to select different items in the game that Hazel wants. The player must click on the correct item or object and drag it to the correct place. The player learns the names of items at the store and helps her along the way. The player also helps select items from the doctor’s kit to help heal the new stuffed teddy bear. 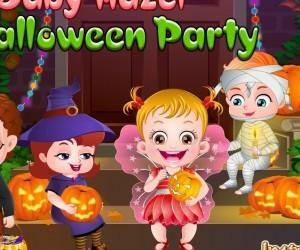 This game is educational for young toddlers and children. 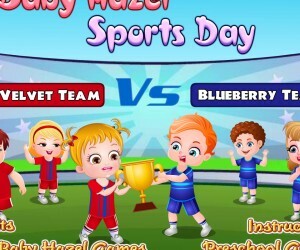 It is a game that requires players to pick the correct items to move along the story and keep Hazel happy. It also teaches vocabulary and problem solving skills. The clicking of the object on the screen also helps with fine motor skills.